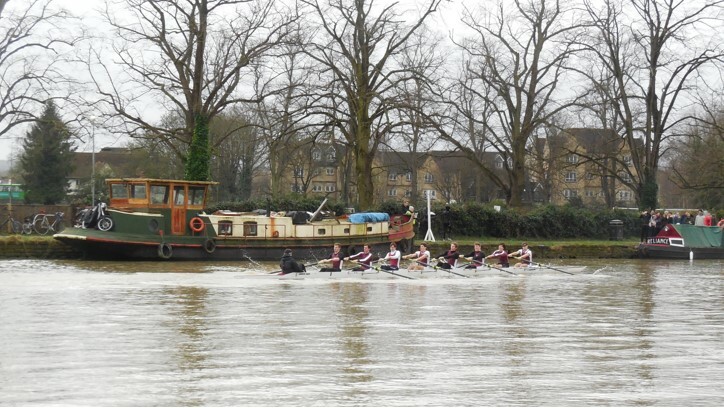 Michaelmas 2015 was an immensely successful term for the men’s side of the boat club. Our first race, IWL A, went very well indeed, as the eight posted the fastest time of the day. In Autumn Fours, we entered two boats, one of which reached the semi-finals, having beaten Keble C and Somerville, before losing to Wolfson. Nephthys Regatta was even more successful – the eight we entered beat New College and Green Templeton, but lost to Wolfson again in the final. We entered two novice eights at Christ Church Regatta, although one had to race as a ‘friendly’ crew because of the unavailability of some of the rowers. The Novice A boat did not get beyond the first round repechage; and although the ‘friendly’ Novice B crew had the satisfaction of beating an Oriel boat, it was not allowed to advance further in the competition. The term’s racing ended on a high with the development squad eight achieving the third-fastest time of IWL B. With Torpids just round the corner, Merton’s men have a training day at Dorney tomorrow (Saturday 20th) and look set to build on last year’s four bumps.